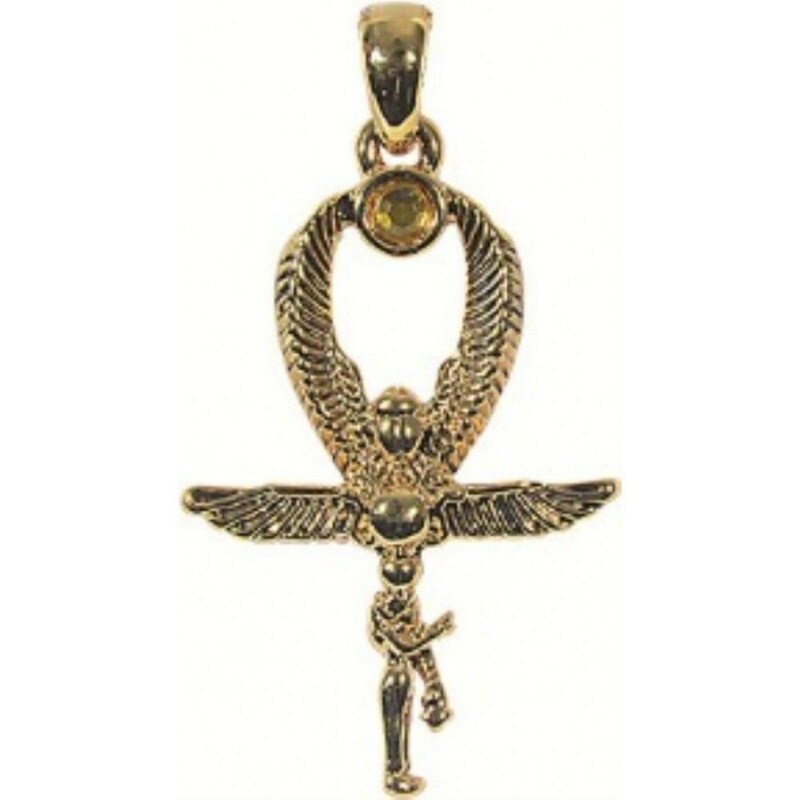 - Pendant is 5 cm in lenght. 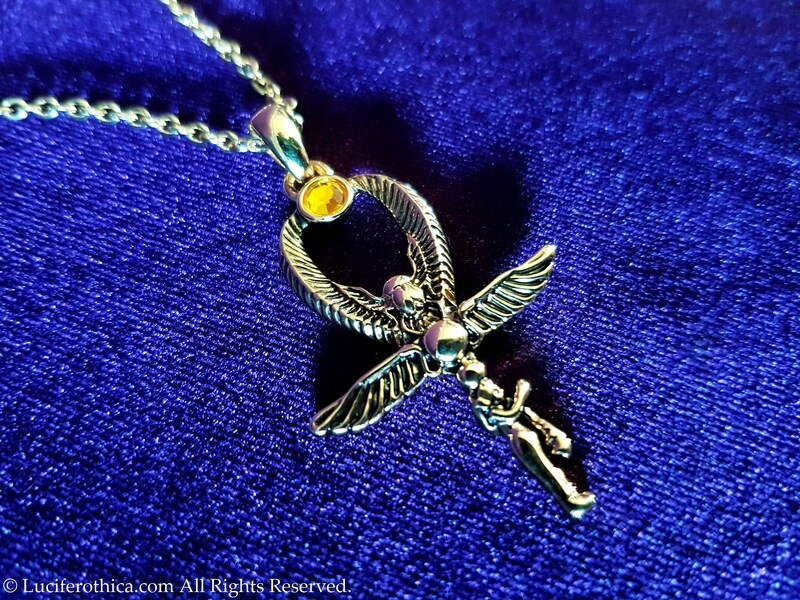 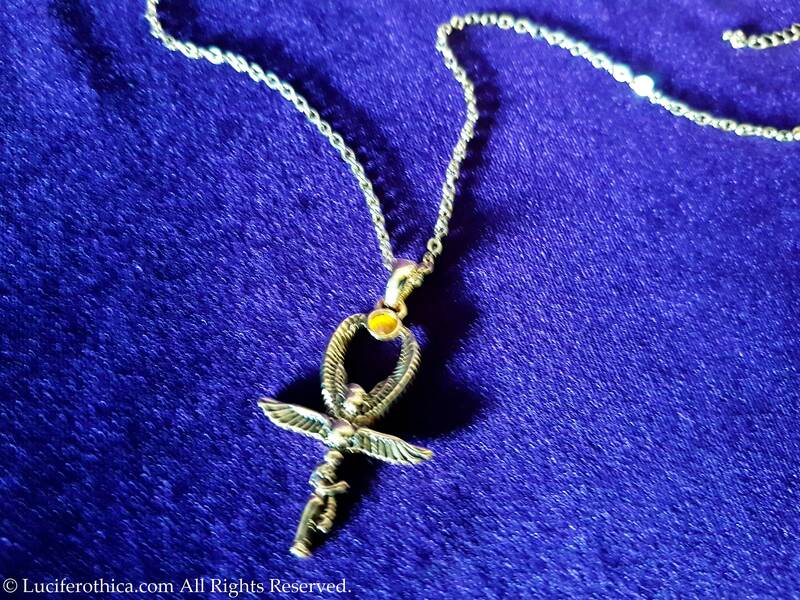 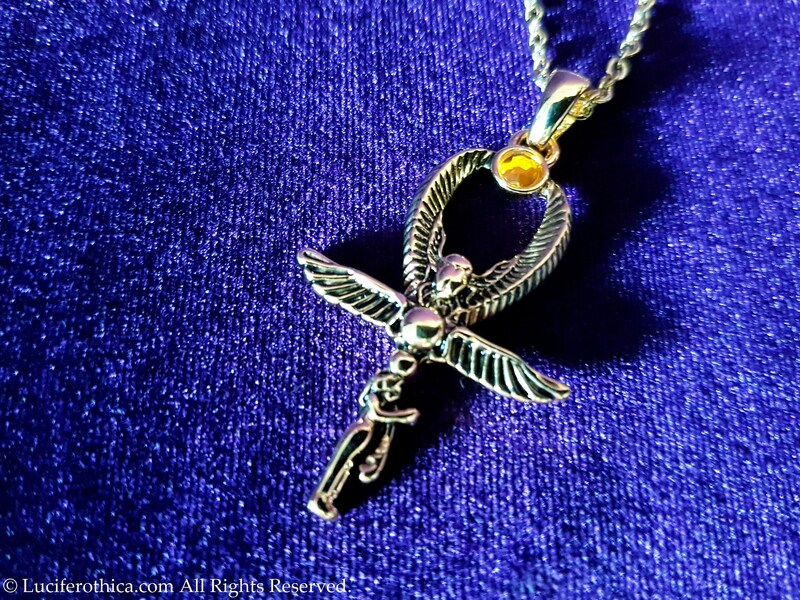 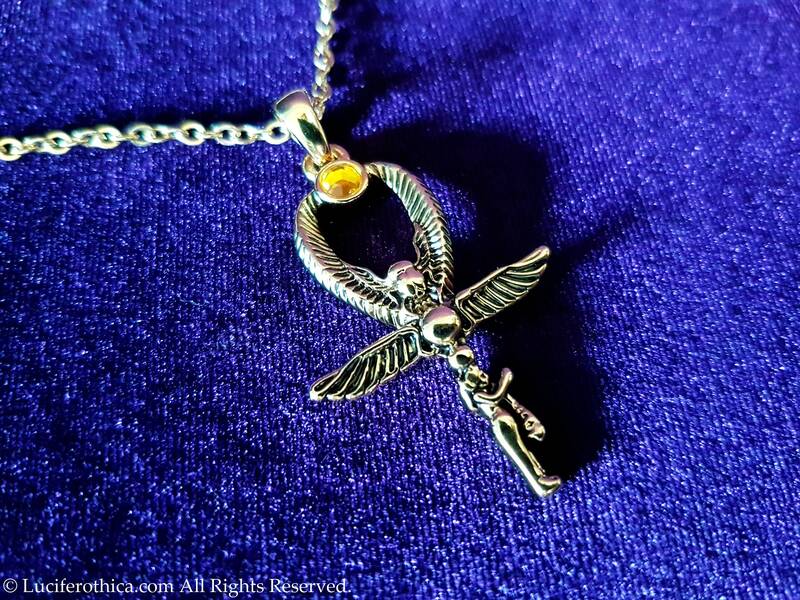 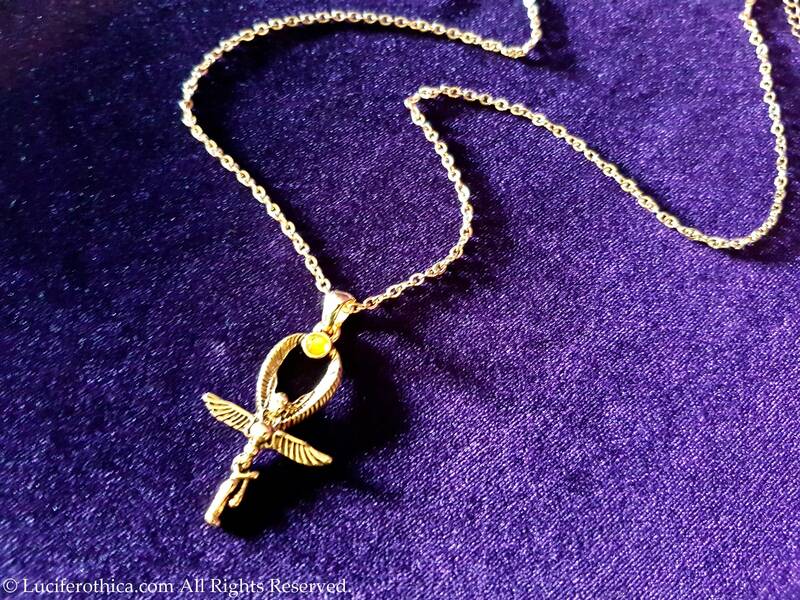 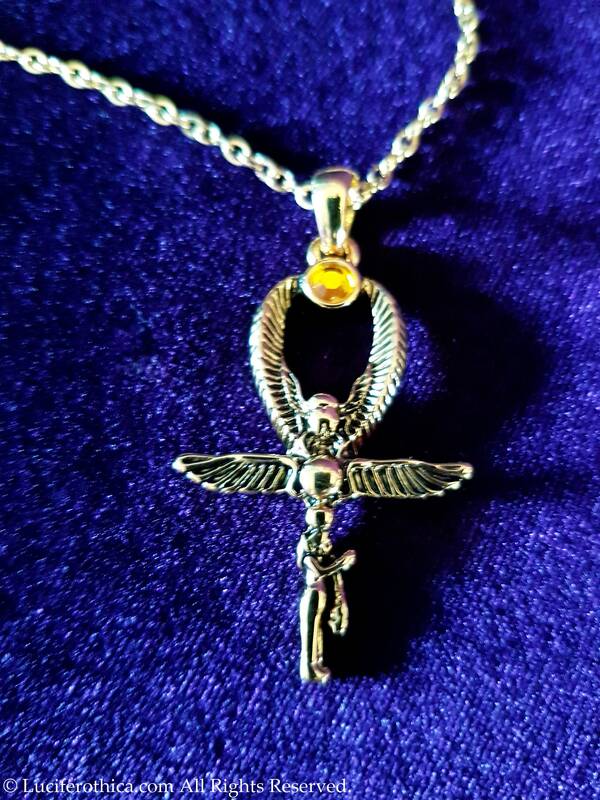 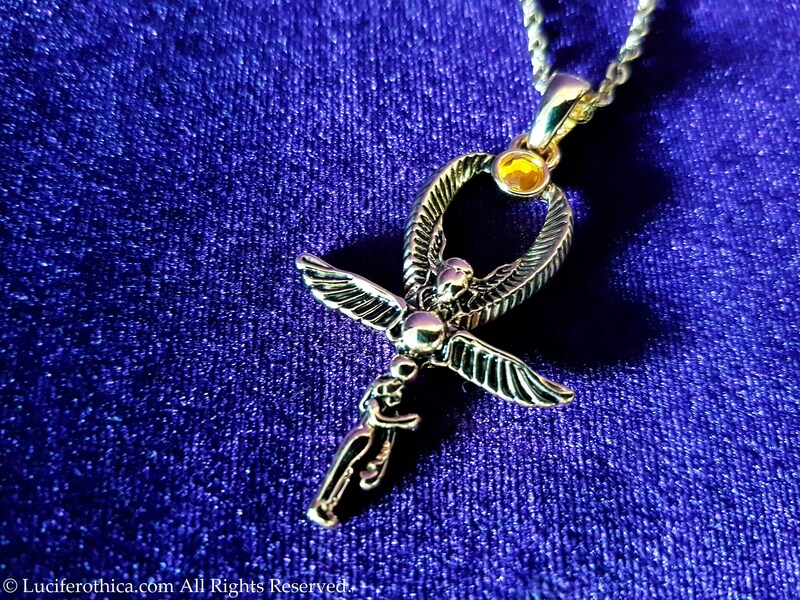 - Shiny Gold colour Isis with scarab and wings. 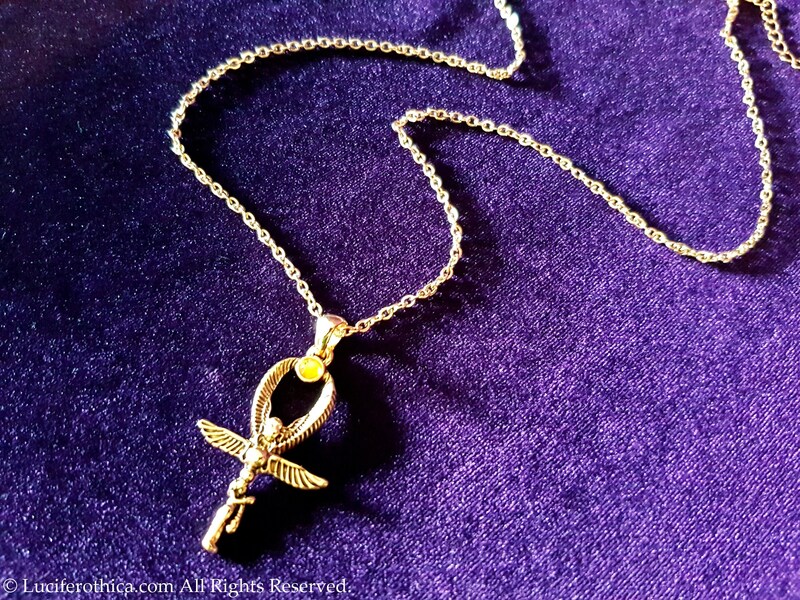 - 60 cm long gold colour chain with 5 cm extension to adjust to your size.